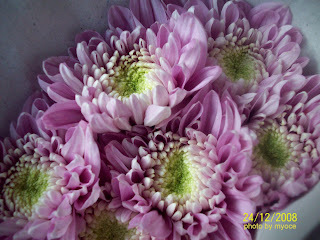 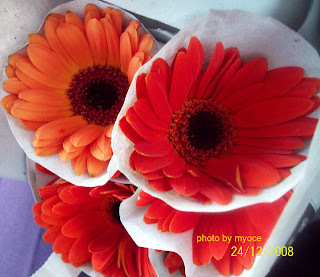 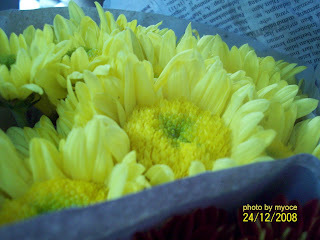 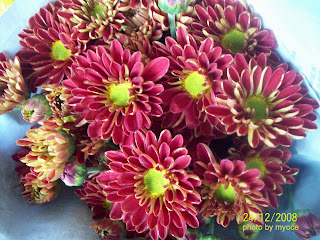 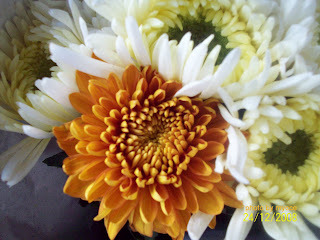 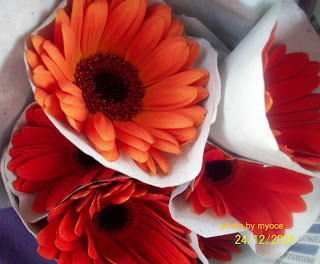 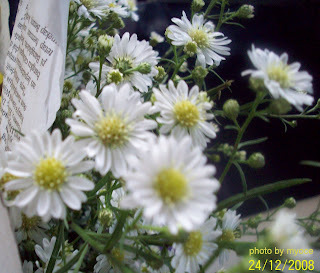 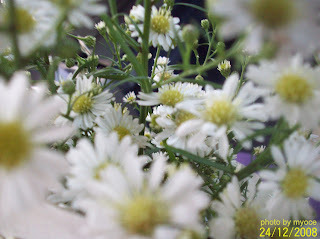 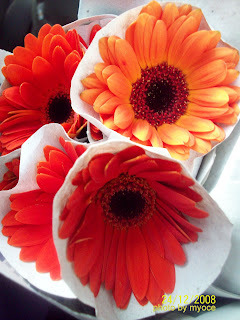 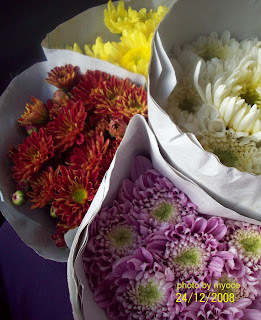 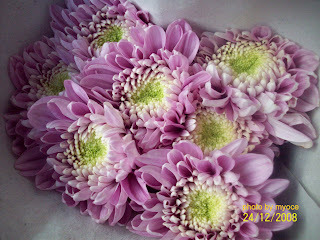 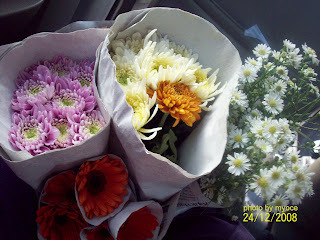 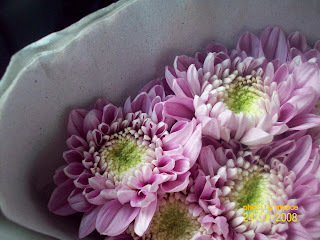 A day before Christmas, I went out to buy some flowers for my mom. 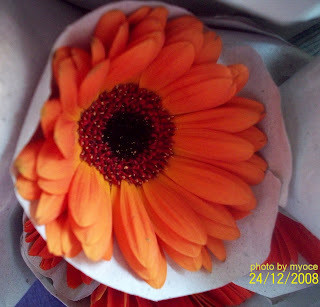 She loves flowers around the house at Christmas time. 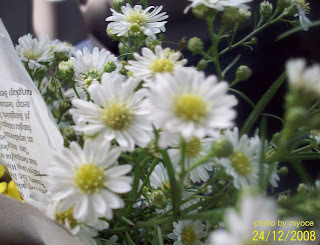 On the way back home I got into a terrible traffic jam...our car was just sitting there for a long time. 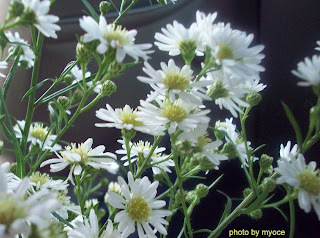 I was stuck on the back seat with a lap full of beautiful flowers....fuming, as I had so many things to do at home....the moments ticked by....then I remembered my camera inside my bag....Hooraay !! 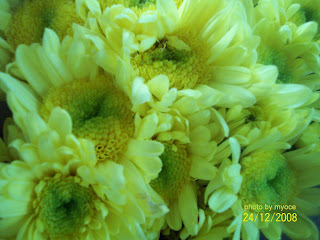 Merry Christmas...Happy New Year !